Hugo Boss launched the BOSS fashion brand in 1970, after a long history in clothing production since 1924. 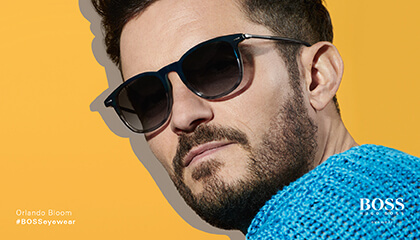 BOSS Eyewear was created in 1985 instilled with the same sophistication that BOSS clothing would become famous for. Clean lines, high-tech materials and a classic palette makes for essential contemporary takes on timeless sunglass shapes.